A veteran of several inspector general offices whose nomination to be permanent CIA watchdog was stalled in the Senate has withdrawn from consideration and is leaving the government, the agency confirmed. As the Associated Press reported on Friday, intelligence community whistleblowers and their advocacy groups had criticized Christopher Sharpley—who had 36 years in federal law enforcement—for alleged retaliation against employees who made disclosures, producing skepticism on Capitol Hill. Several senators questioned Sharpley during an October 2017 confirmation hearing about reports that he was under investigation for possible reprisals in multiple whistleblower complaints reported in detail by the journalism project ProPublica and the nonprofit Project on Government Oversight. 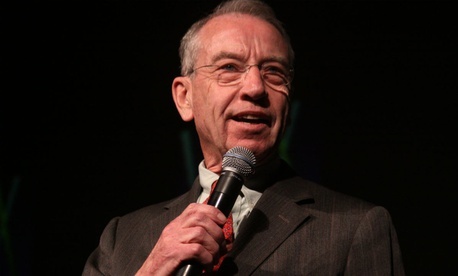 The legal aid group Whistelblower Aid also raised objections to the nominee based on clients’ claims, resulting in a decision by Judiciary Committee Chairman Sen. Chuck Grassley, R-Iowa, to delay voting on his nomination to be CIA inspector general. Sharpley told senators he had read the POGO reporting but was unaware that he was the subject of any reprisal investigations. Sharpley had joined the CIA inspector general as a deputy in 2012, and has been acting CIA IG since 2015. Last week he announced his resignation in a memo to employees. Though no official reason was given for Sharpley’s departure, many whistleblowers had followed the situation with interest.